Exercising on Antibiotics – Is It Time to Make Excuses? Getting motivated to exercise can be tough at the best of times––we all love to make excuses––but avoiding exercise when you’re sick is a good idea, right? Let’s find out if exercising when ill is a recipe for success or if you really should avoid running on antibiotics. This is the number one question you need to ask yourself before even considering exercising. 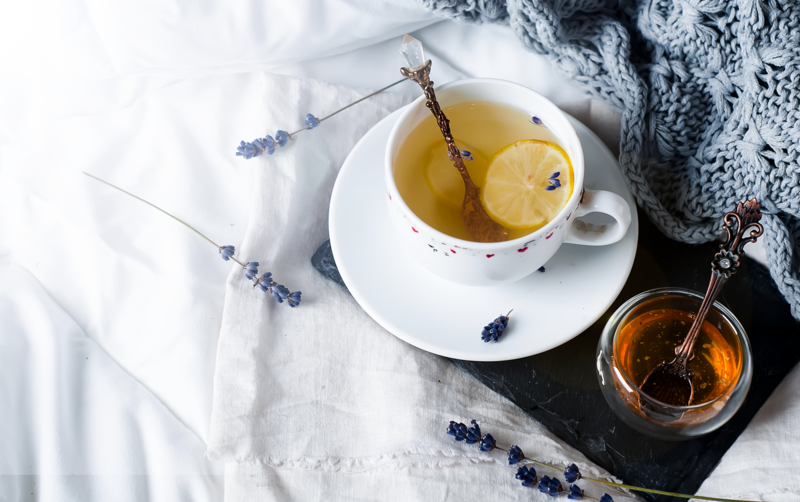 If you’ve just got a cold it may be ok to continue your routine, you can even cut yourself a little slack, but if you’ve got a temperature over 38°C or 101°F hitting the gym, streets, or in fact, any type of exercise is a huge no-go. So, when else is it ok to get a workout in when you’re not feeling your best? Can’t decide if you’re too sick or not? One excellent rule of thumb suggested by Dr. Lewis Maharam (WebMD) is “Do what you can, and if you can’t, don’t”. This means that if you’ve got a cold or just feel a bit under the weather, you can try to do a bit of exercise, but only as much as you feel capable of doing. If you simply can’t stop your routine, perhaps switch up your running for a walk or do some light exercises at home. The more you rest, the sooner you’ll get better. That said, you do need to know when keeping up your regime is an absolute no-no––it’s not going to help you heal, and could, in fact, make you worse. If your infection is generalized above your neck (in the nose area), normally this means it’s just a common cold or viral infection and you’re going to be ok. Lower than the neck, in the chest area, that’s bad and you really should rest up. Bad sinus pain or a severe headache could be a warning sign of something worse, so best stay on the safe side and take it easy. Things are truly heating up and not in a good way. If your temperature is over 101°F (38°C) there’ll be no exercising for you, no exercising on antibiotics, no exercising with a mask on––no means no! You need to rest up and get that temperature down. You just can’t keep your head of the pillow. Feeling extra tired when you’re ill is normal, it’s your body telling you to rest. Despite your fears that a day-off may upset your regime, sometime sleep is what’s actually needed to get you better. Now that you know when it’s not ok to exercise, have you ever wondered why? Let’s find out. Lots of people ask, “Can I exercise on antibiotics?”. The answer truly depends on what ails you in the first place, and while you can exercise, it’s so much better if you avoid it until you’re symptoms subside. If you’re taking antibiotics this means your system is struggling in its fight against a disease, be that a viral infection or bacterial one. As you exercise you need your system to function and provide appropriate nutrients to help it generate energy and then heal. That draws energy away from making you better. Antibiotics can also impact your performance, such as dehydration, stomach upset, and even slow your pace, a major bummer for athletes. This is because they are designed to fight infection within your body not help you improve your system. So, on the question of exercising on antibiotics, it’s preferable to allow the antibiotics time to work, and your body time to heal before putting it under pressure. This is a big one. Studies show that excising with a fever can make your condition worse, or in extreme circumstances it may be fatal. A fever can have an effect of your cardiac muscles, any extra strain puts you at higher risk of a heart issue. 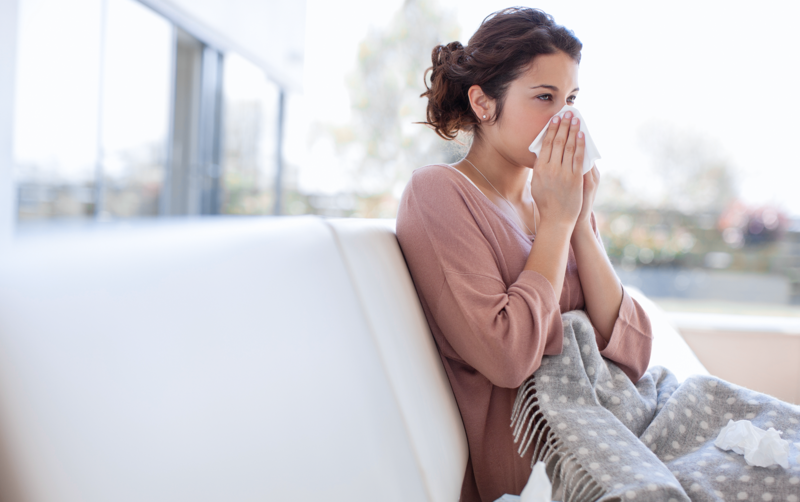 That aside, when you have a fever, your body works to fight it, this may mean directing energy to the site of the infection, constricting blood vessels and limiting blood flow to your limbs. This a makes it harder for the body’s heat to dissipate, but it also means you’ll lose fluid and can become dehydrated more easily. Now that you’re already sick, this one won’t affect you as much as everyone around you. When you’re ill, remember, sharing is not caring. If you train at a gym or even if your run outside, you risk spreading your infection to others. So, best stay on the safe side, avoid the world and snuggle up under those covers. This will keep your throat relieved, bring you a little comfort and help you fight that nasty infection. Keep yourself nice and toasty, but not too warm, you don’t want to push that temperature any higher. To get better you need to eat right, we know that crisps and snacks are easy food, but they won’t give you the nutrients you need to heal. Plus, when you’re feeling more like yourself, you’re going to regret it. Running with strep throat and other unpleasant infections may be out, but that doesn’t always mean you need to be a couch potato for the foreseeable future. Some gentle yoga can improve your mood, help keep your muscles moving and prepare your for getting back into your routine. Being sick is miserable––it’s a fact! Keep yourself out of the dumps with some positive mantras to get your spirits up.